Fantasy soccer -- Is Raheem Sterling the best Premier League fantasy midfielder? Last weekend, Raheem Sterling put in a phenomenal two-goal, two-assist performance which helped Manchester City hold the top spot in the Premier League, propelling himself further up the ESPN rankings. After 11 matchweeks, he now sits third in our game -- largely off the back of the league-high 11 goals he's been a part of this season (six scored, five assisted). Of course, Sterling being involved in loads of goals comes as little surprise to those who followed the Premier League last season, in which the Englishman racked up a career-high 18 goals and 11 assists. That wasn't just an outlier either, as Sterling's goal involvement per 90 has improved each season since Pep Guardiola took the reins at Manchester City. The Spanish manager has helped Sterling develop into one of the world's best young players, and that development is certainly reflecting on his fantasy value. One of the easiest adjustments Guardiola has made to Sterling's game was to allow him to forgo most of his defensive duties, and stay in attack for large swathes of matches. This shift has been evidenced by his astronomical amount of touches in the box, a statistic in which he finished second last season (263), and leads the league at the start of this one (93). Of course, playing that high up the pitch has its benefits and detriments but, at least in fantasy, it's more of the former. Sterling's attacking numbers are fantastic, as he ranks 11th or higher in goals, shots (on and off target), assists, and chances created. While those numbers only account for a third of ESPN's categories, they also represent four of the five highest in terms of points per action. That attack-minded style of play does have some downsides, though, as he ranks just 75th in passing, and has seen his tackle and interception rates drop for three consecutive years. Because of this, Sterling is a bit more reliant on goal involvement than most other elite midfielders, resulting in a fairly wide spread of fantasy returns. Fortunately, it's easy to predict when his best performances will come, based on where he lines up on the pitch, which you can easily find by selecting a match on our schedule page and then clicking "Lineups." When playing on the left last season, Sterling managed to record six goals and three assists, which, while not nothing, represented only 33 percent of his goals and 27 percent of his assists. However, when played on his preferred right wing or through the middle, he racked up an impressive 12 goals and 8 assists over 28 matches which would have roughly amounted to Christian Eriksen's return all season (11 goals, 9 assists). This trend has certainly continued into 2018-19 with 73 percent of Sterling's goals and assists coming from the right. In fact, regarding the aforementioned wide point spread, Sterling has scored fewer than 15 points just four times this season, and all four of them came when Sterling played on the left. When playing on the right, Sterling averages 28.45 points per game which is a whopping 7.55 more than overall point leader Eden Hazard. Even if you were to disregard Sterling's positional splits, he's still the biggest challenger for Hazard's crown in midfield Tier 1. Despite sitting 29 points behind the Chelsea talisman on the season, the Englishman is actually equal or better in nine of 15 scoring categories. Admittedly, some of that ground was made up while Hazard was struggling with a back injury, but it's worth noting that the Belgian player has actually taken part in more matches (10) than Raheem Sterling (9) to date. Of course, there are plenty of other players in the first midfield tier aside from these two ... after all, it was neither of them, but rather Kevin De Bruyne who would have led all midfielders in points last season with 639.2. We mentioned a couple of weeks ago that De Bruyne's impending return could soon make him the best fantasy option at Manchester City, but he now faces another lengthy absence as he recovers from knee ligament damage. While this would certainly be a massive blow to most Premier League clubs, City seem uniquely qualified to absorb the loss of their superstar midfielder. Without him, Manchester City have not only led the league in goals this season (33) but are actually on pace to score 114 times, which would shatter the Premier League record (106) set by themselves last season. With that kind of production, pretty much every attacking option at Manchester City will hold significant fantasy value throughout the year. Bernardo and David Silva are certainly no exception, as they each rank in the top 25 of the ESPN game, but it's Sterling who looks to be the best of the bunch, leading all Manchester City midfielders in goals, assists, shots, shots on target, and touches in the box. All of those positives when picking Sterling do come with a downside, however. Pep Guardiola loves to rotate players, which often causes his star players to either be played out of position, or not start at all. 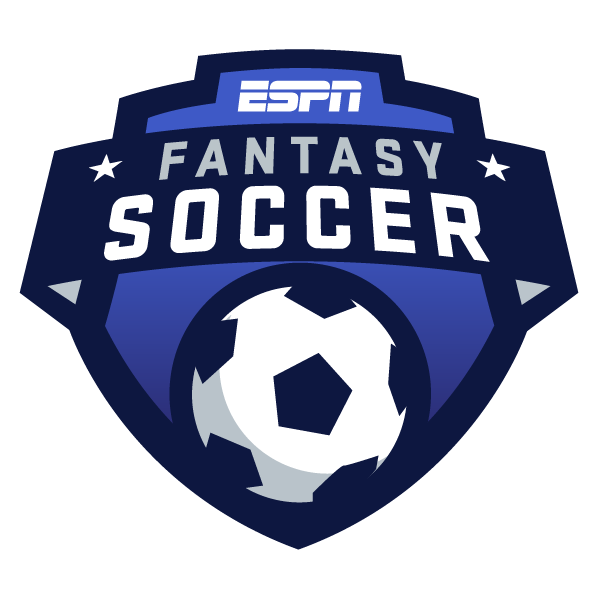 Fortunately for everyone, ESPN Fantasy Soccer rosters lock at the start of each match, not when lineups are announced, which gives you an hour to ensure the status of the players you have selected. So, when you see that Guardiola has started Raheem Sterling on the right wing, you should probably start him in your fantasy team as well.